Another story from my American trip earlier this year: this time from Pennsylvania. 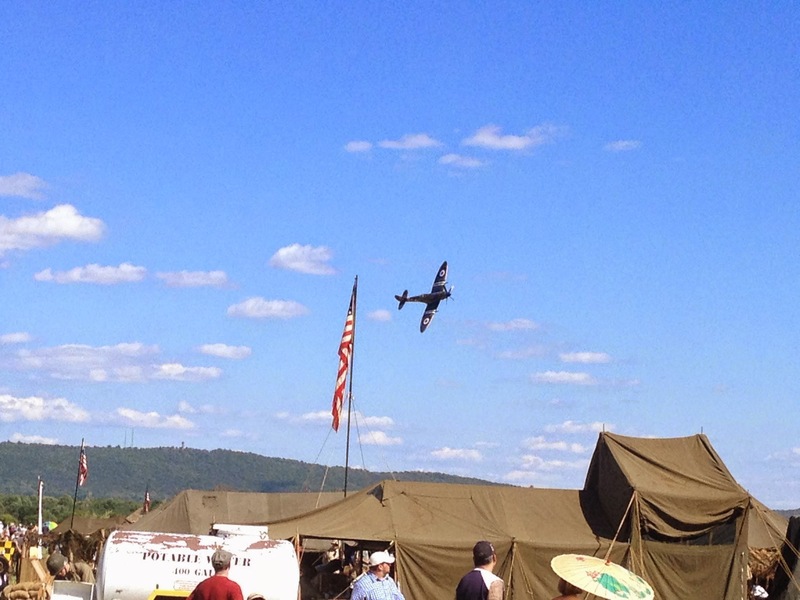 On the weekend of the 6th/7th/8th of June the Reading based Mid Atlantic Air Museum hosted their Second World War weekend and airshow. 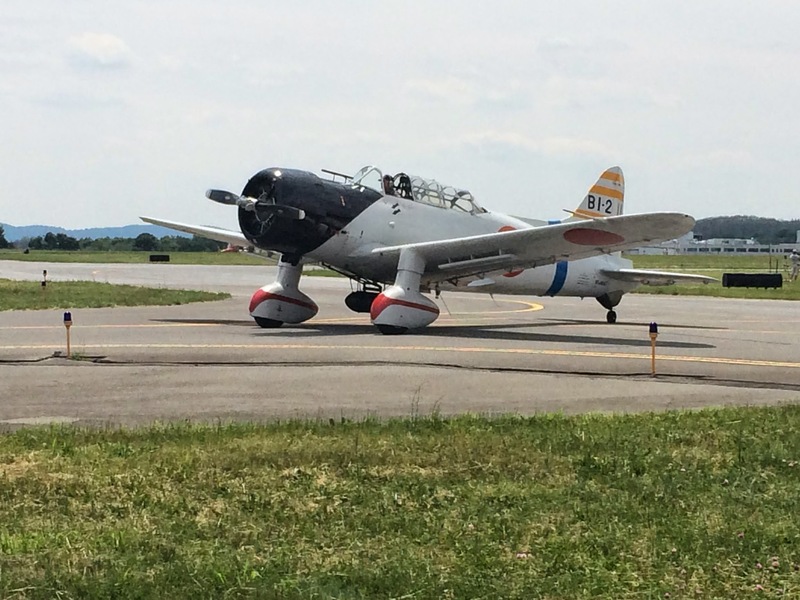 With Friday billed as a practice and pleasure flight day and Saturday and Sunday full shows, the event provided a full weekend. We arrived very late on the Friday evening, not long before dark, once through the gates we found the hangar dance already in full swing. To our surprise we were allowed to walk out on to the ramp and walk among the parked aircraft in the fading light. A Mustang performing the last pleasure flight of the day performed a low run and break and landed, taxiing back in with the last of the light. B-25 and Dauntless in the evening light. 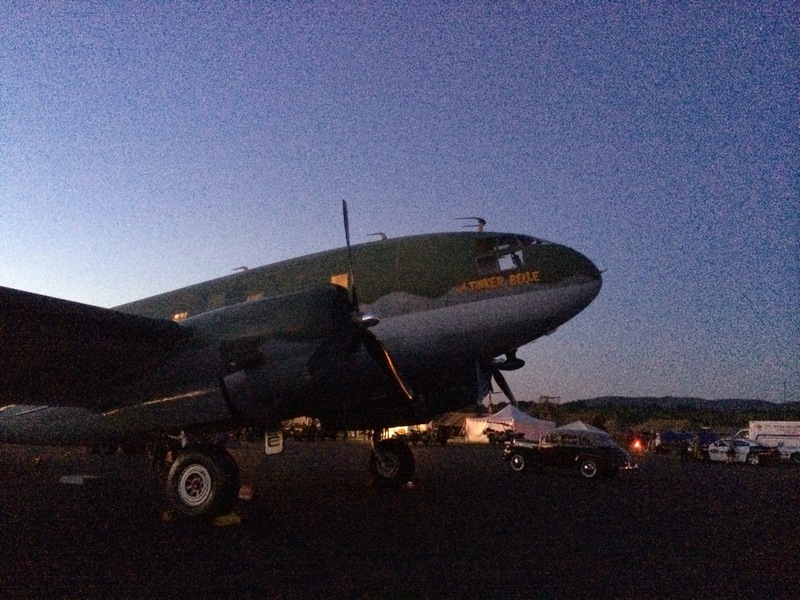 C-46 “Tinker Belle” on the Friday evening. 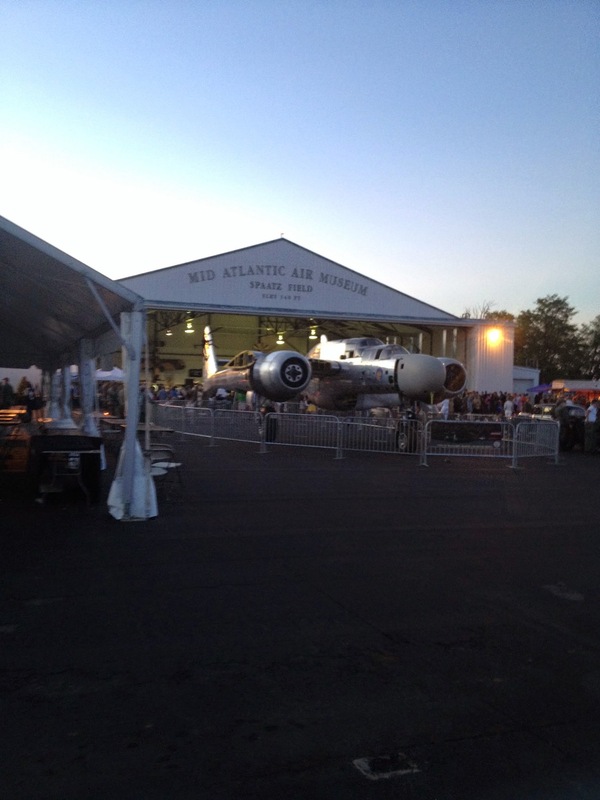 Walking amongst a line up including, 4 B-25 Mitchells, 2 Avengers, a B24, B17, C46 and P-47 Thunderbolt to name a few in the darkness was a surreal and unique experience and served as the perfect welcome to the event. Another unique type was the Museum’s P-61 Black Widow restoration project, which is progressing well. The P-61 Black Widow restoration. The first morning of the show saw us in the queue at the gate early before the event even begun. Once inside we walked through the reenactment camps, each representing different theatres of the war and eventually found our way to the far end of the airfield. 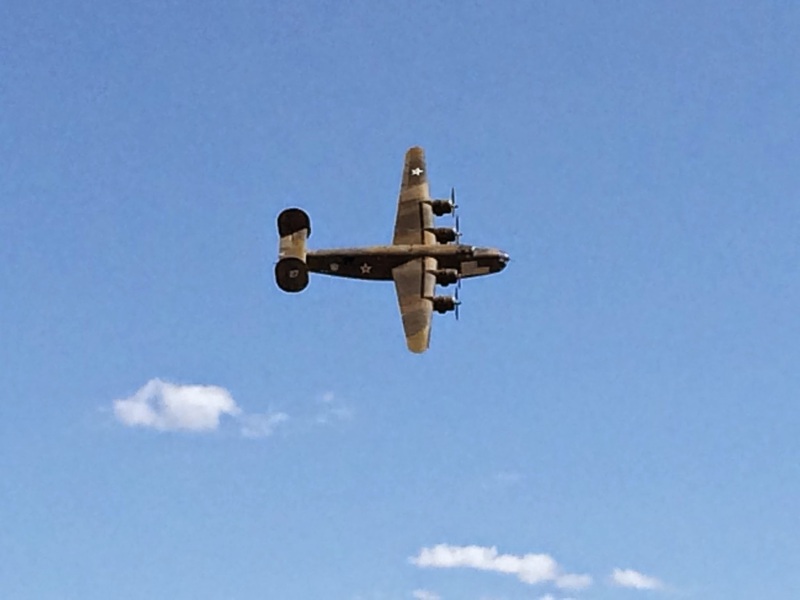 As discussed in the “My First Warbird Flight” post, we were lucky enough to take a flight on the B24 “Diamond Lil’”, once this was over it was time to really soak in the show. The amazing thing about this, and I assume a lot of American shows is the pre show flying. Most shows in the UK see a quiet airfield aside from GA types flying in and smaller types carrying out pleasure flights. 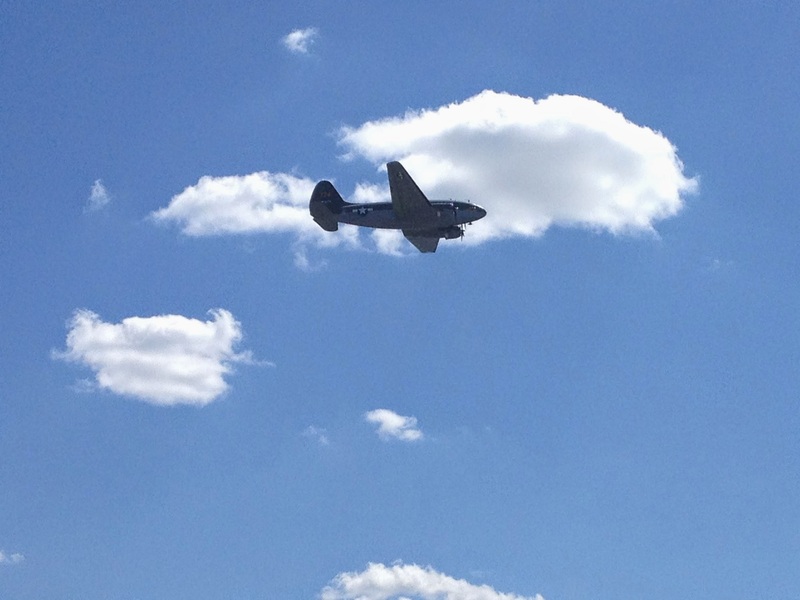 At Reading however we were treated by regular flights throughout the morning by the B24, B17, B25, Mustang and Dauntless! The pleasure flight aircraft alone would have made for a stunning line up. Diamond Lil showing her topside during the display on the Saturday of the show. The afternoons flying soon got under way, with a collection of “L-Bird” observation aircraft flying a figure of 8 pattern around the runway, a nice gentle start to the show demonstrating the slower end of world war two aviation. This was followed by a trainers section, featuring Stearmans and Stampes as well as five T-6 Texans, which provided an excellent formation display, following a circular pattern round the back of the ground, presenting the top side of the aircraft on each pass. 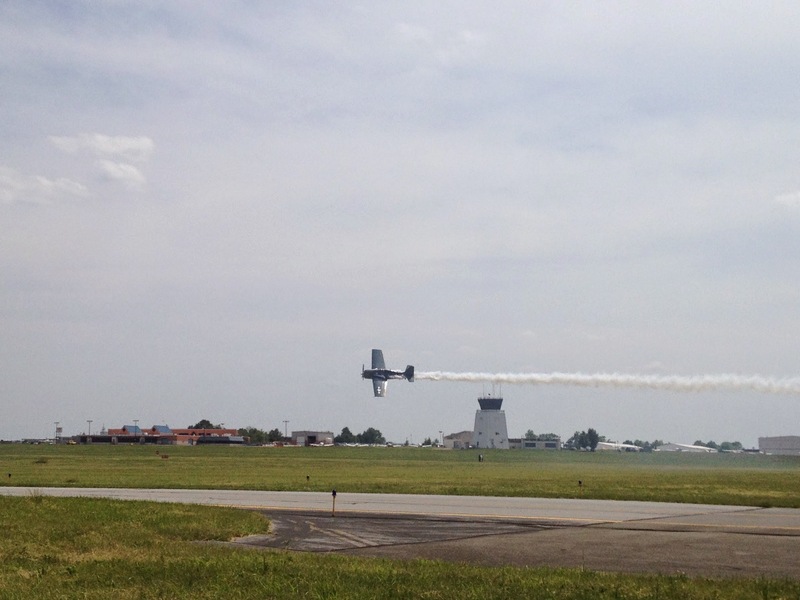 A solo T-6 display followed, complete with smoke system, showing the types aerobatic credentials. 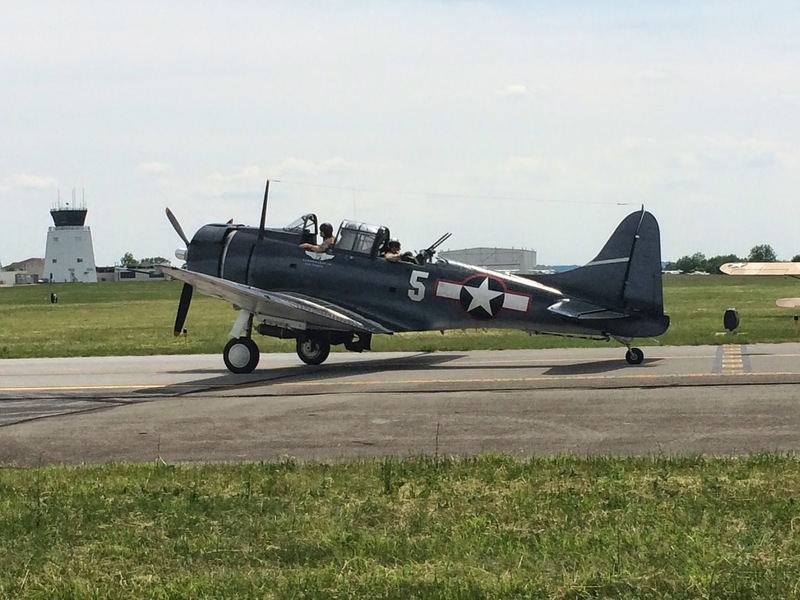 From here it was the turn of the big warbirds, with a US naval display featuring the Dauntless, Avenger, Wildcat and Japenese Val. This display also consisted of a circular pattern, diving in for mock airfield attacks on each pass. 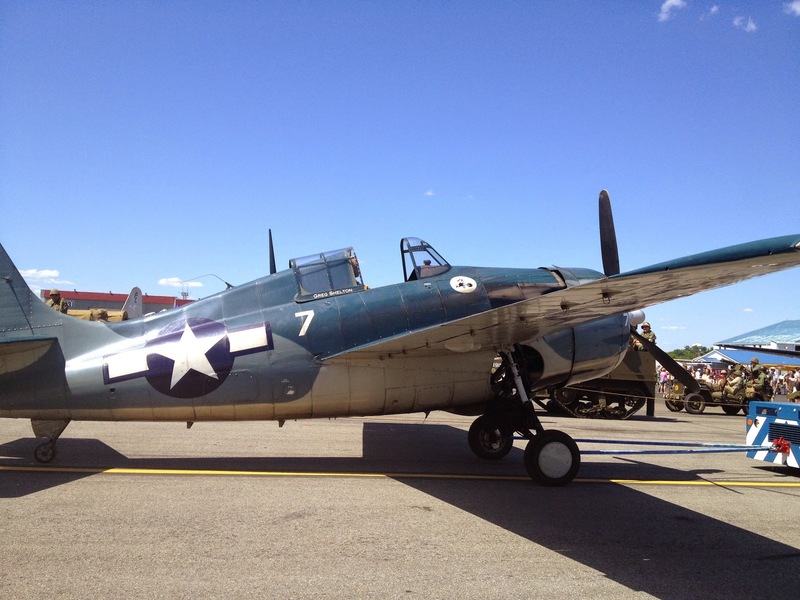 It’s a shame the Commemorative Air Force Helldiver didn’t make it to the show in the end, but any disappointment quickly disappeared once this segment began. 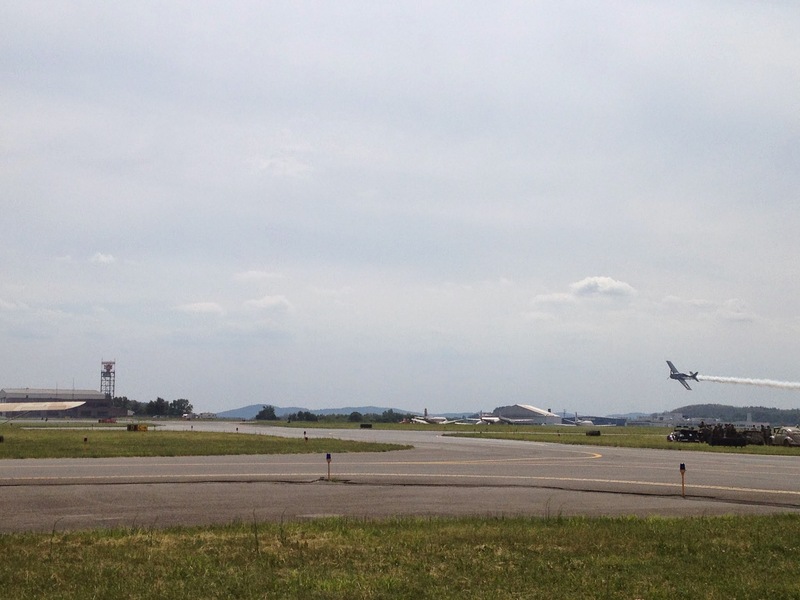 The Val replica taxiing out. The Wildcat is pulled through the crowd before its display. 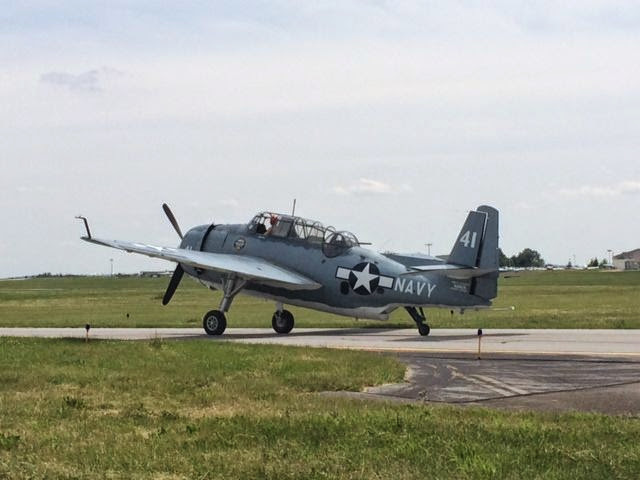 It was the display that followed this segment that provided my main memory of this event, Greg Shelton in the F4F Wildcat. By this stage in the show I had come to the conclusion that warbird aerobatic displays, as are regular in the UK, did not happen in the states. The Wildcat came screaming in from a great height will full smoke system, dropping down to super low altitude before pulling up into a roll-of-the-top to level flight, only to be followed by another complete loop. The display had me stunned from start to finish, especially the low banking “Photo Passes” towards the end of the display. 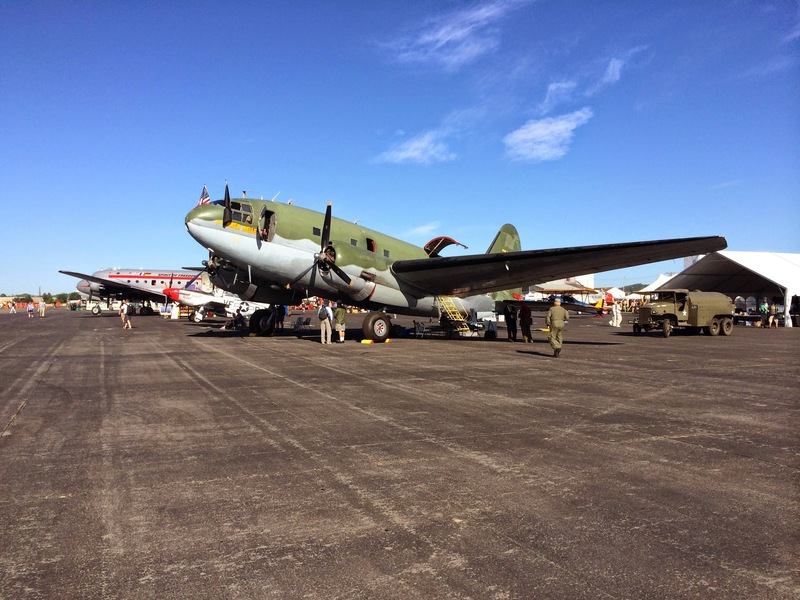 There was a rare appearance by the only regular airshow performing C-46 Commando along with a C-47, which then led on to the bomber segment of the display. 3 of the B-25 Mitchells went up, along with the B24 and B17, the aircraft circled the base in front of us for a number of passes before each performing and impressive top-side photo pass to conclude. On the Sunday of the show the B17 did not take part in the display and was replaced by a fourth B25, creating an impressive “H” tail bomber segment. 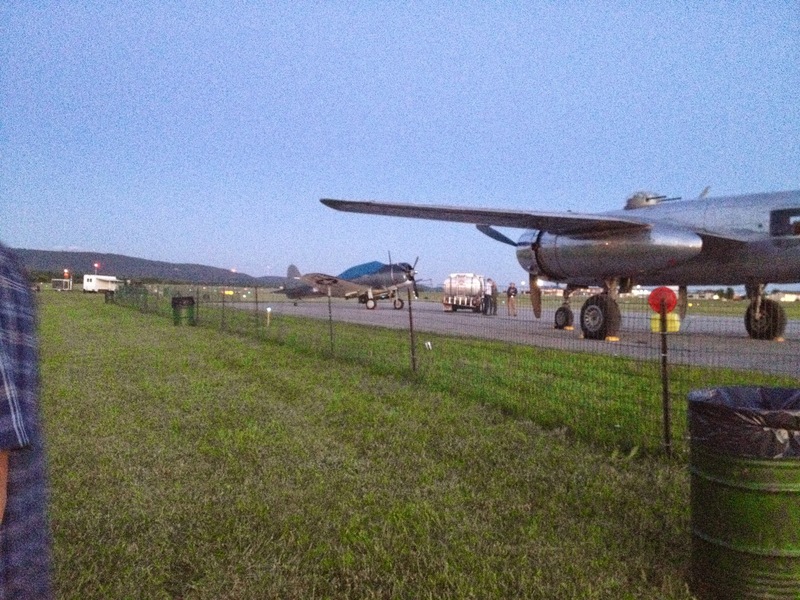 C-46 in the static park. 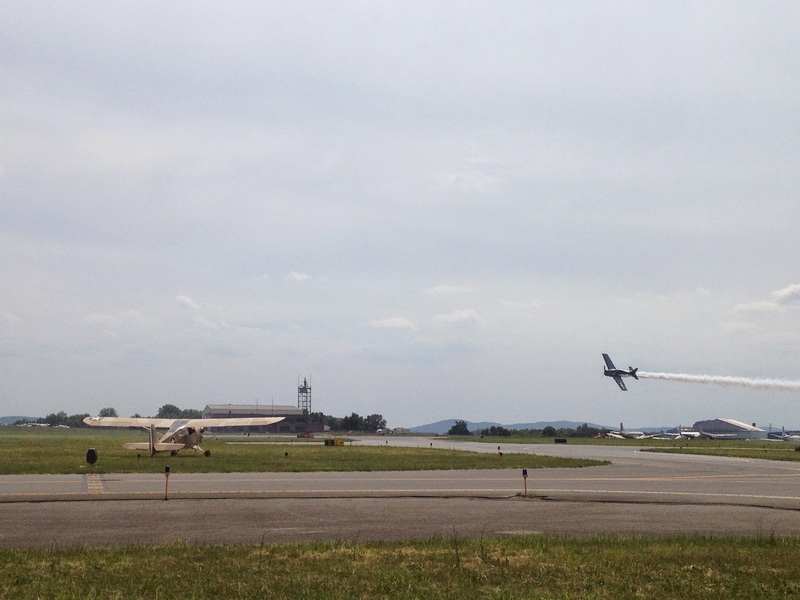 The C-46 during its display. The display was wrapped up each day with a fighter segment, starting with Jim Beasley in the Spitfire MK XVIII, an aircraft restored at Duxford, though never flown in the UK. This display was, as you would expect from one of the members of the Horsemen aerobatic team, very impressive combining high-energy aerobatics and low level passes. The Spitfire was the joined by 2 Mustangs and the Thunderbolt for a final missing man pass overhead the crowd, as a tribute to all those lost during the war. Jim Beasley enjoying himself in the Mk.XVIII Spitfire. 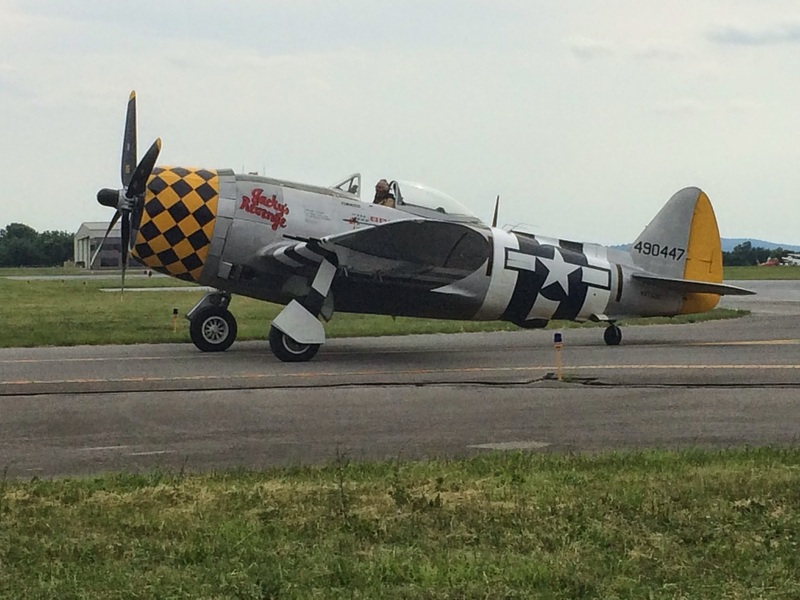 P-47 on its way to display. The show on the second day was equally good, with the real bonus coming after the show, as a number of the visiting aircraft were departing for home, of squeezing in the last few pleasure flights of the day. This meant that for a solid half hour there were interesting aeroplanes departing from both runways in different directions, an impressive spectacle. 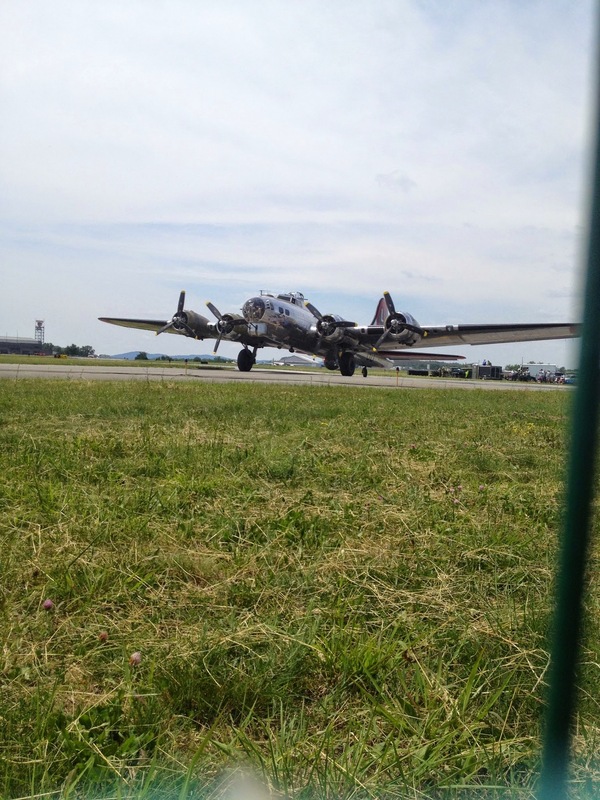 B-17 preparing to depart for another pleasure flight. The standout feature of this event was the static park. The aircraft were parked up in the crowd arena, with no barriers or obstructions, and the crews were nearby and happy to talk to the public. When it was time for the performers slot, they were towed out of the public area to start and pulled back in once they had cooled off from their flight. The result was a truly immersive experience and one I think many UK shows could learn from. It was wonderful to experience the American style of airshows and see so many unique aeroplanes and such impressive flying. As a show that is certainly up there with Flying Legends, I would thoroughly recommend any historic aviation fan makes the effort to go. If you enjoyed reading this post then please share it if you can. 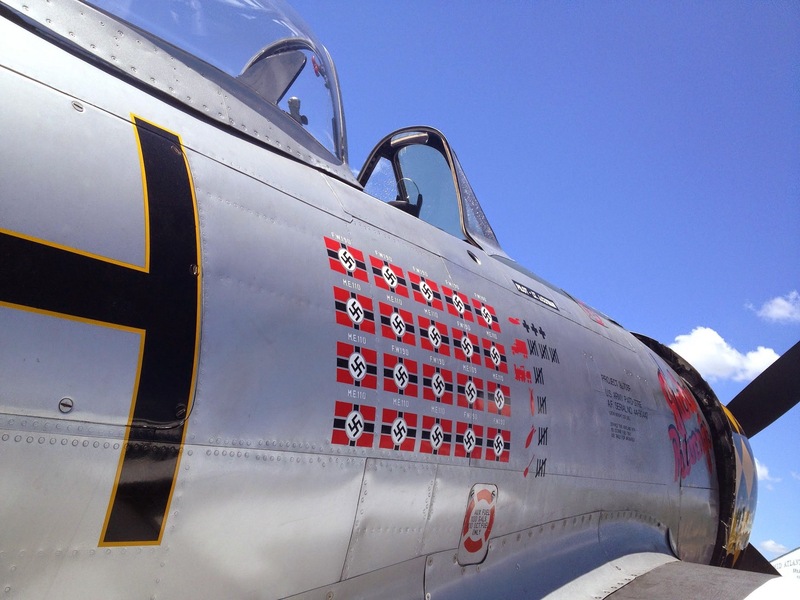 If you would like to see more posts from Warbird Tails why not follow us on Twitter and Facebook?